Breastfeeding is a natural part of life, and the small break mothers will take to nurse their baby should feel as hassle-free as possible! Remember to keep this space comfortable. One way to do this is to keep the atmosphere peaceful and calming by making the decor pleasant, the seating relaxed, and the space clean. 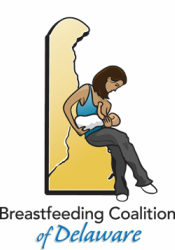 What Would Be Included in a Breastfeeding Room? “Mommy Chair”--This is where the magic happens! The best type of chair for a mother to relax in while breastfeeding is one that is comfortable and laid back, like a glider (with an ottoman). Foot Support--It’s important for a nursing mother to be comfortable while breastfeeding. Having something to rest her feet on works wonders! Night Stand with Lamp--The lighting in the room should be dimmed to help create a calming atmosphere. A perfect way to incorporate this into your Nursing Mothers Room is to add a night stand with space to place a lamp. Area Rug--This is one way to make the room nice and cozy for anyone who finds themselves in need of a good place to rest their bones and feed their baby(s).Be sure to include a rug with warm and welcoming colors. Perhaps this would be a great way to add a little brightness into the room! Breast Pump--If possible, it is helpful to provide an electric breast pump. Although this pump would be shared, each mother will need to attach her own milk collection kit to the pump, which keeps her milk separate. Changing Table--Paying close attention to the number of dirty diapers that need changing is one way to monitor a baby’s feeding. This is also something that just needs to be done…often. So, it makes sense to conveniently provide a changing table in the Nursing Mothers Room. Play Area--This would be useful for mothers with more than one child.Play items in this area should be stationary, so that Mom is free to nurse without worrying about keeping other children safe and in one place. Try toys that attach to the wall at child level to keep kids entertained and the toys from going missing. Proper Room Labeling--This special room should be advertised with a sign on the outside of the door, so that Mom is aware of its availability.To avoid any interruptions while someone is nursing, use door knob hanger to let those on the outside know that the room is in use. Cleaning Supplies--At the end of the day there are certain items in this room that will need to be sanitized. These items would include the breast pump and the changing table. Both can easily be wiped off with a little bit of cleaning solution, such as Clorox.Be sure to store cleaning supplies out of the reach of children.